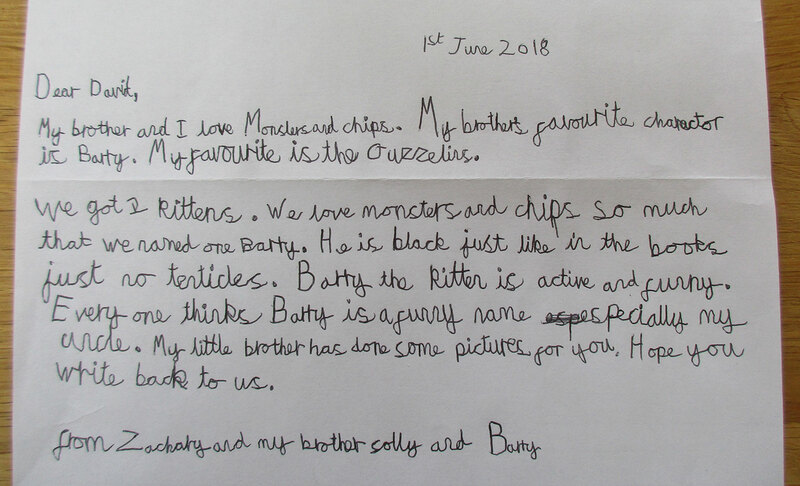 A lovely reader letter arrived the other day that really made me chuckle: Zachary wrote that he and his brother Solly had named one of their kittens Barry after the monster cat from Monster & Chips, much to the amusement of everyone! 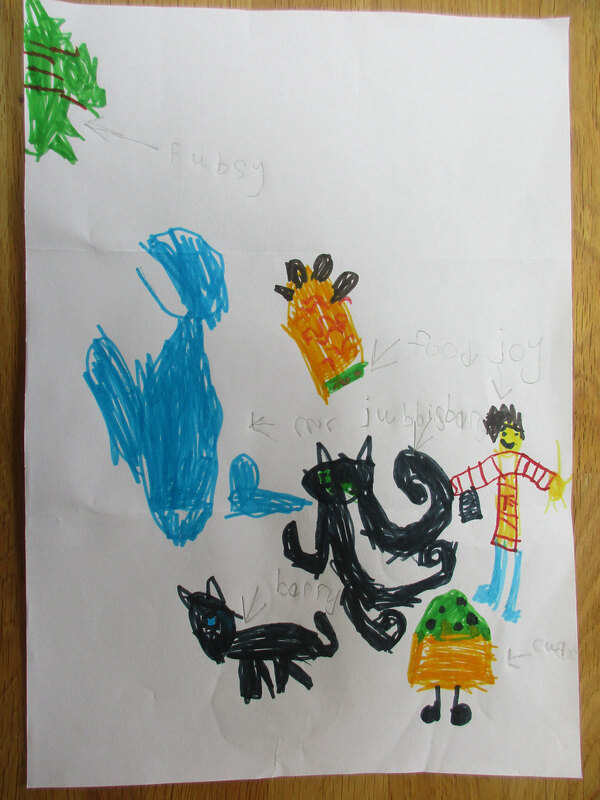 Solly also drew a picture of all the Monster & Chips characters (plus Barry Mk.2). Brilliant! Thank you so much, chaps!